Nighttime raids, pointed guns, arrests often accompanied by beatings, kicks, curses and painful and extended handcuffing. The ordinary behavior of Israeli children in uniform. Children in the West Bank throw stones at army vehicles and Israeli cars, mainly those belonging to settlers. That is the undeniable truth. Throwing stones is the classic way of telling the occupier, who is armed from head to toe, that he has forced himself on the occupied. Sometimes it’s part of a sweeping resistance movement, sometimes it’s a ceremonial remnant of such a movement, not devoid of braggadocio and adolescent boredom, while also a reminder to adults not to adapt. The armed occupier bellows that this is violence, an offense just a step away from firearms. The violence of the occupier is the norm that no one questions, so much so that it becomes invisible. Only the response to that norm is presented and perceived as criminal, and the occupying nation wallows pleasurably in its eternal victimhood to justify its violent actions. The army, especially the military justice system, has abundant means to deter young people from taking part in those ceremonies to ward off adjustment. Nighttime raids, pointed guns, arrests often accompanied by beatings, kicks, curses and painful and extended handcuffing. The ordinary behavior of Israeli children in uniform, completely normative. From the frightening conditions of such arrests, Palestinian children are taken straight to interrogation. This, too, involves intimidation, threats and sometimes a blow, sometimes temptation: Admit that you threw stones and we’ll let you go. Because detention until the end of legal proceedings might be longer than the sentence itself, sometimes it’s preferable to admit to something you did not do. Eight 16-year-old students at the El-Arub agricultural school refused to be part of the statistic of confessions under pressure in the so-called military justice system. Three soldiers who arrested them in October 2008 testified to the police that their detainees had thrown stones on Route 60, and the soldiers caught them on the road after chasing them. The indictments were tailored to the soldiers’ account of events. But the truth was that the teens were pulled out of their classrooms by soldiers who drove into the school compound. The police did not bother to question the principal and his teachers, the prosecution did not append corroborating evidence to the “stone-throwing incident” (such as documentation of the incident by the police or an army war room ). And still, the military judge extended the remand of the eight teens until the end of the proceedings. A soldier’s word against the word of a Palestinian boy. The appeals judge was somewhat discomfitted by the vague testimony the soldiers gave the police and ordered the boys released on very high bail. The military prosecution tried, as usual, to get the defense attorney (from the Ad-Damir human rights group ), to sign a plea bargain (you confess, we’ll ask for a suspended sentence and a fine ), to save everyone’s time, especially the court’s. The boys were adamant in their refusal. The three soldiers, therefore, had to testify in court after they were warned to tell the truth, and they were very unconvincing. On July 12, after almost two years of “wasting the court’s time,” the prosecution asked that the indictments be dropped. According to the IDF Spokesman’s Office, “there was no determination by a court of law that the soldiers lied in their testimony,” which is true, and that “in agreeing to drop the indictment there is no implication regarding the credibility of the soldiers’ testimony.” Sure. Indeed, the soldiers acted the way many had acted before them. What they did is not devoid of the adolescent braggadocio that their society accepts affectionately and leniently. In particular, they are obeying unwritten orders to deter potential activists against the occupation. Blows, twisting the truth and intimidation are all part of the system they did not invent. The campaigners insist that they are legally justified in their actions as the shop’s activities are unlawful. All cosmetics on sale in the shop originate from Mitzpe Shalem, an illegal Israeli settlement in the occupied West Bank, and are deliberately mislabelled “Made in Israel”. The primary witness for the prosecution, Ahava’s store manager, refused to attend court to testify despite courts summons and threats of an arrest warrant leading to the activist’s acquittal on all remaining charges. The British government, the European Union, the United Nations and the International Court of Justice all consider Israel’s settlements to be illegal, as they are in breach of the Fourth Geneva Convention. Breaches of the Fourth Geneva Convention are also criminal offences under UK law (International Criminal Court Act 2001). Oftentimes, Israelis and their supporters bury their heads in the sand, ignoring all that goes on around them. Take, for example, the case of a university professor who joyously announced in a commentary published in a leading American newspaper, The New York Times — which in turn was remiss in not fact-checking — that 71 per cent of Arab respondents to an “opinion poll” had “no interest” in the Palestinian-Israeli “peace process”. Probably sharing his enthusiasm, the paper headlined the column, ‘The Palestinians, Alone’. Karsh would have done better had he digested what two prominent American Jewish leaders, Jeremy Ben-Ami and Debra Lee, wrote recently: “Decades of telling and retelling a comfortable narrative in which Israel is always extending its hand in peace, only to have it rejected by the Palestinians, understandably makes it hard to accept when the facts show otherwise”. They stressed that “facts don’t support the charge that the present Palestinian leadership is not a partner for peace”. Although there has been a noteworthy change in the American public opinion on Palestine, Arab public opinion on the Obama administration has turned negative because of the president’s perceived failure to deliver on the “new beginning” he had promised in his memorable Cairo address. This is clear from the results of a poll conducted last month by the University of Maryland and Zogby International in six Arab countries — Egypt, Jordan, Lebanon, Morocco, Saudi Arabia and the United Arab Emirates. Only 15 per cent of Arabs remain hopeful, while 63 per cent are discouraged about US policies, reported Dr Shibley Telhami, the Anwar Sadat professor for Peace and Development at the University of Maryland, who oversaw the poll. There has been a “dramatic change”, Telhami emphasised, in the perception of President Barack Obama, “whose disapproval rating jumped considerably, from 23 per cent in 2009 to 62 per cent in 2010”. He added that the Palestinian-Israeli conflict remained “the single most disappointing issue for the Arab public, with 61 per cent of those polled citing that issue as a major disappointment, followed by 27 per cent citing Iraq”. Nevertheless, 86 per cent of Arabs appeared prepared “in principle” to accept a two-state solution based on the 1967 borders. But the number of those who believe that Israel would never accept such a solution has increased from 45 per cent in 2009 to 56 per cent in 2010. This may give some ammunition to those who are counting on a one-state agreement. The confusion emanating from Israel’s dilly-dallying about peace with the Palestinians was best described in the lead paragraph of a recent Washington Post report by Janine Zacharia from the Occupied West Bank. It read: “While Israeli Defence Minister Ehud Barak visited Washington … to talk about peace gestures towards the Palestinians, Foreign Minister Avigdor Lieberman was planting a tree in a Jewish [colony] in the West Bank — an indication of permanence that few Palestinians would welcome”. Meanwhile, former US ambassador Chas Freeman recently lambasted Israel for being “an extreme liability for the US financially, strategically, politically”. Freeman made this assessment during a seminar at the Nixon Centre that focused on the point of whether Israel was an “asset or liability” for the US. “Clearly, Israel gets a great deal from us,” he complained. “Yet it’s pretty taboo in the United States to ask what’s in it for Americans.” He continued by considering “what we generally expect allies and strategic partners to do for us”, before claiming that “Israel does none of these things and shows no interest in doing them”. He concluded: “Israel is therefore useless in terms of support for American power projection. It has no allies other than us. It has developed no friends. Israeli participation in our military operations would preclude the cooperation of many others. Meanwhile, Israel has become accustomed to living on the American military dole”. It is therefore not surprising that Turkey has turned its back on the Israeli regime, or that others may want to do so in future should Tel Aviv continue on this track. George Hishmeh is a Washington-based columnist. He can be contacted at ghishmeh@gulfnews.com. Probably closer to the Obamas than Lester Crown is Marty Nesbitt (Obama’s “confidante and golfing buddy”). For the sake of the Obamas’ dear friendship with Nesbitt’s wife Anita Blanchard, Michelle made her ill-fated trip to Spain. Earlier, to advance Nesbitt’s keen interest in Chicago’s bid for the 2016 Olympics, both Michelle and Barack made the sudden trip in 2009 to Copenhagen which also took people by surprise, and gave the Obamas their first taste of bad press. They must like Marty Nesbitt a lot and owe him a lot to have gone so visibly out of their way for his sake. 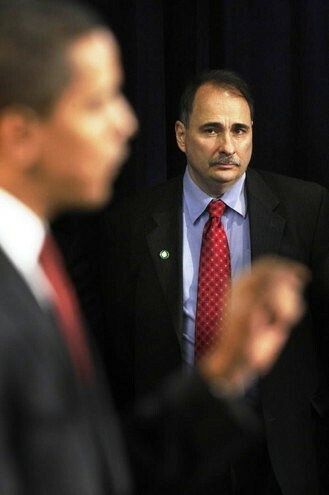 Incidentally, he was the treasurer of Obama’s presidential campaign. Nesbitt is a close friend of Rahm Emanuel and David Axelrod. Nesbitt works with the Pritzker Realty Group, and another close Obama friend is Penny Pritzker, a scion of the family of the Hyatt fortune, which has has been used for projects far less liberal in Israel than the Pritzker-Nesbitt politics are in the U.S. (“In 2003, Forward reported on how he had ‘been courting the pro-Israel constituency.’ He co-sponsored an amendment to the Illinois Pension Code allowing the state of Illinois to lend money to the Israeli government. Among his early backers was Penny Pritzker — now his national campaign finance chair — scion of the liberal but staunchly Zionist family that owns the Hyatt hotel chain. (The Hyatt Regency hotel on Mount Scopus was built on land forcibly expropriated from Palestinian owners after Israel occupied East Jerusalem in 1967)”–Abunimah). All these people are linked through the Chicago Housing Authority and Valerie Jarrett (chair 1992-95, Chicago Department of Planning and Development; chair 1995-2005, Chicago Transit Board). If I were a Republican J.J. Gittes looking for the Noah Cross among all these Mulwrays, I’d be looking here. The Swiss energy group EGL says its €18 billion gas contract with Iran is still on, despite the US threats of sanctions over the gas deal with Tehran. In 2007, the Elektrizitaetsgesellschaft Laufenburg (EGL) signed a 25-year agreement with the National Iranian Gas Export Company (NIGEC) to import around 5.5 billion cubic meters of gas per year from Iran. The €18 billion gas contract was criticized in the US Congress because of possible violations of US sanctions against firms active in Iran’s gas and oil sectors. “We are not violating any regulations, and [we] follow rules; we feel we are not really deserving to come on the [sanctions] list,” the Jerusalem Post quoted EGL spokeswoman Lilly Frei as saying. After the UN Security Council ratified a sanctions resolution against Iran in July, the United States and the European Union imposed unilateral sanctions against the Islamic Republic over its nuclear program, mostly targeting the country’s energy and banking sectors. Washington will deny access to US markets for companies that supply refined petroleum products to Iran. Dean Baker is the co-director of the Center for Economic and Policy Research (CEPR). He is the author of Plunder and Blunder: The Rise and Fall of the Bubble Economy and False Profits: Recoverying From the Bubble Economy. 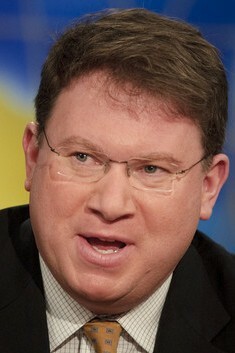 He also has a blog, “Beat the Press,” where he discusses the media’s coverage of economic issues. TEHRAN – Iran has inaugurated its first trade center in the Iraqi northern city of Soleimanieh. Some 45 Iranian companies have established branches in the trade center, the Islamic Republic of Iran Broadcasting reported on Wednesday. The project is aimed to supply genuine and accredited brands to the Iraqi market, offer after sales services and institutionalize the activity of economic enterprises in Iraq. In the first four months of the current Iranian year (ended on July 21), Iran exported $1.2 billion worth of goods to Iraq. Last April, Iran’s commercial attaché in Iraq, Mehdi Nejatnia, told Press TV that the value of trade between the two countries in 2009 increased by one billion dollars compared to the previous year. The value of trade between the two neighboring countries stood at $7 billion last year. Nejatnia stated that Iran exported over 2,000 different goods worth $4 billion to Iraq, while Iraq exported $3 billion of goods, mainly crude oil, sulfur, and iron, to Iran. Hidden Intelligence Operation Behind the Wikileaks Release of “Secret” Documents? Since the dramatic release of a US military film of a US airborne shooting of unarmed journalists in Iraq, Wiki-Leaks has gained global notoreity and credibility as a daring website that releases sensitive material to the public from whistle-blowers within various governments. Their latest “coup” involved alleged leak of thousands of pages of supposedly sensitive documents regarding US informers within the Taliban in Afghanistan and their ties to senior people linked to Pakistan’s ISI military intelligence. The evidence suggests however that far from an honest leak, it is a calculated disinformation to the gain of the US and perhaps Israeli and Indian intelligence and a cover-up of the US and Western role in drug trafficking out of Afghanistan. The leaked documents also claim that Osama bin Laden, who was reported dead three years ago by the late Pakistan candidate Benazir Bhutto on BBC, was still alive, conveniently keeping the myth alive for the Obama Administration War on Terror at a point when most Americans had forgotten the original alleged reason the Bush Administration invaded Afghanistan to pursue the Saudi Bin Laden for the 9/11 attacks. The naming of Gul today as a key liaison to the Afghan “Taliban” forms part of a larger pattern of US and British recent efforts to demonize the current Pakistan regime as a key part of the problems in Afghanistan. Such a demonization greatly boosts the position of recent US military ally, India. Furthermore, Pakistan is the only Muslim country possessing atomic weapons. The Israeli Defense Forces and the Israeli Mossad intelligence agency reportedly would very much like to change that. A phony campaign against the politically outspoken Gul via Wikileaks could be part of that geopolitical effort. As well, in a UPI interview on September 26, 2001, two weeks after the 9-11 attacks, Gul stated, in reply to the question who did 9/11, “Mossad and its accomplices. The US spends $40 billion a year on its 11 intelligence agencies. That’s $400 billion in 10 years. Yet the Bush Administration says it was taken by surprise. I don’t believe it. Within 10 minutes of the second twin tower being hit in the World Trade Center CNN said Osama bin Laden had done it. That was a planned piece of disinformation by the real perpetrators…”  Gul is clearly not well liked in Washington. He claims his request for travel visas to the UK and to the USA have repeatedly been denied. Making Gul into the arch enemy would suit some in Washington nicely. That statement from a person who has built a reputation of being anti-establishment is more than notable. First, as thousands of physicists, engineers, military professionals and airline pilots have testified, the idea that 19 barely-trained Arabs armed with box-cutters could divert four US commercial jets and execute the near-impossible strikes on the Twin Towers and Pentagon over a time period of 93 minutes with not one Air Force NORAD military interception, is beyond belief. Precisely who executed the professional attack is a matter for genuine unbiased international inquiry. Julian Assange, Interview in Belfast Telegraph, July 19, 2010. Pakistanis find it curious, having reviewed the massive cache of documents, that none reference either India’s RAW or Israel’s MOSSAD agencies. If the material is selected and at the same time offers credibility for warmongering on Pakistan and/or Iran we simply have a new means of transmission for propaganda now that Judith Miller’s “anonymous sources” are no longer credible.